In part one of this series I was able to determine Harbledown Junction's true identity as a signal box, not a train station at all. In this post I'll be looking at my journey to get as close as possible to what remained of the junction. Aerial photo with 1896 map overlaid. Fortunately the old viaduct is a viewing point so we were able to easily climb to the top and look around. Looking towards Wincheap, the bottom right area of the map above, there was no obvious sign of the railway from where we stood. This was expected but still a bit of a shame. 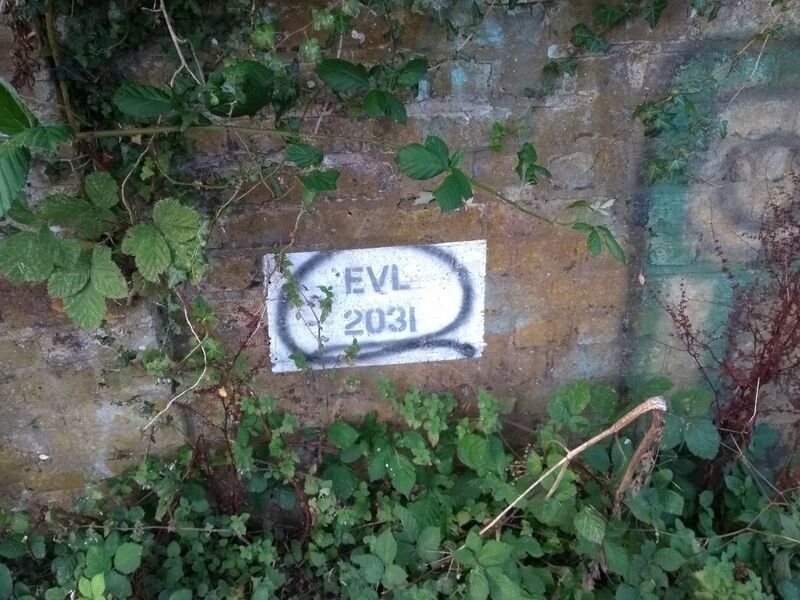 The viaduct was labelled EVL 2031 and it's unclear how recent the marking is. The view from the top wasn't particularly special, showing no evidence of historical rail beds (but clear evidence of a recent fire). The old viaduct's label, and the view from the top. Continuing our walk, heading away from the railings, I was surprised to see how far the high ground spread - I've cycled past it many times but not noticed! There's a second way up to the viaduct further along as shown in these photographs and the second photo of this set (below) shows how far this walkway goes. Further along still someone had made a single tent camp, so we respectfully made our way past that (and took no photos). 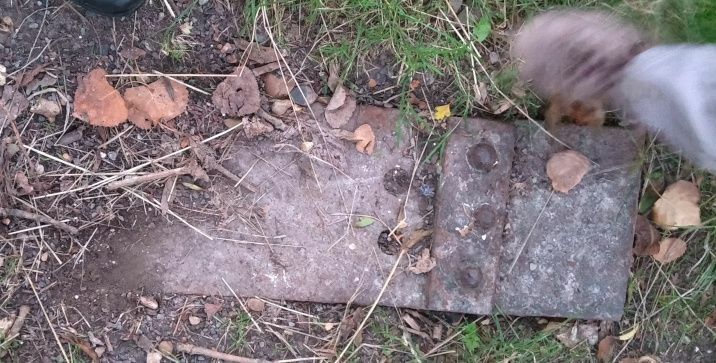 It was in walking along this path that we discovered our first evidence that something else had been here - some well buried metal work (pictured with my brother-in-law's foot, giving some form of scale). Light was fading by this point so I don't have much more in the way of current-day photographs. Eventually the higher ground descends to what I later found out was likely a drainage ditch (possibly the filter bed on the original maps) and we met a brick wall. Clearly this was retaining something (or once had been) but the trail seemed to end. Not too far from the wall was what looked like a cap stone for a brick pillar. The photograph isn't great, mainly due to the poor lighting and poor phone camera, but the stone has a "squashed pyramid" top. Overgrown by moss and covered in mud, it was possible, however, to see the stone wasn't on top of a pillar any more. The fallen cap stone, found in the ditch. 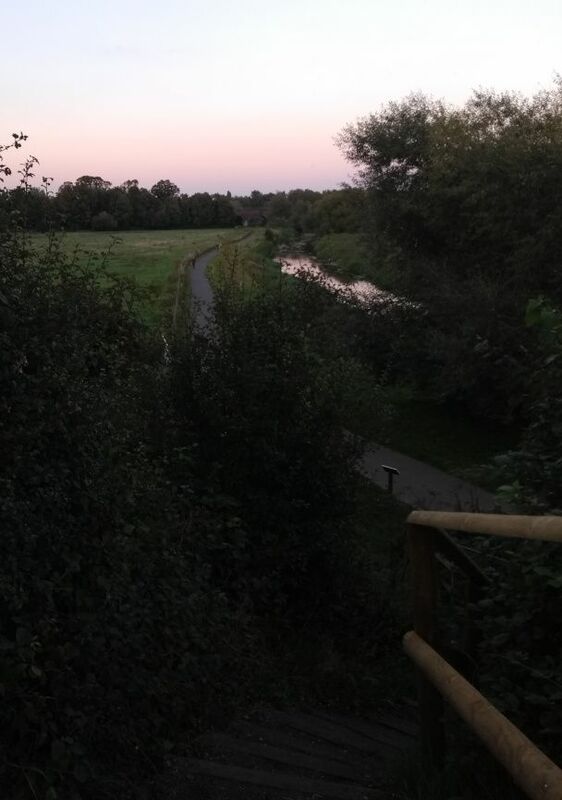 Staying at the drainage ditch level it was possible to take an alternative footpath on to Whitehall Road, which runs alongside the Canterbury West railway line. That allowed us to get as close as legally possible to the signal box, the land for which is still railway property. Unfortunately the chain link fence is overgrown so it wasn't possible to see through. For those of you familiar with What3Words, I estimate the signal box was at ///update.staple.skip, making our closest point ///loaded.note.idea. Following our walk we headed to my parents' house where family friend Steve P was unexpectedly on hand. He used to work in GIS and has lived in Canterbury a long time so had historical information we could draw on. Looking at the photo of the signal box he was able to tell me it was of a wooden construction and likely had no foundations - hence nothing to see while on a train. 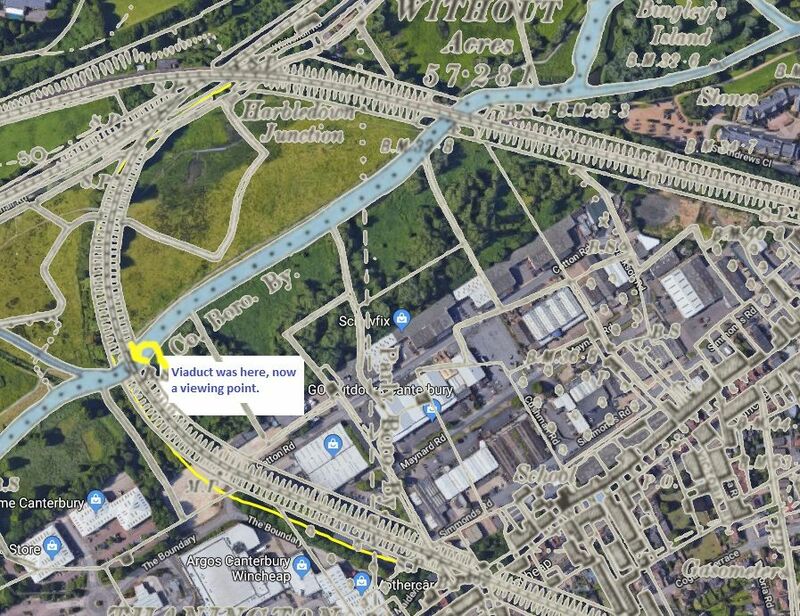 Steve also mentioned an additional spur, not part of the Elham Valley line, that didn't exist for long. Perhaps something for another time. As part of my research into part one I contacted the Love Hambrook Marshes group as they now maintain the area around the old rail route. My query was passed on to their former trustee, Steve (another one), who was able to provide me some fascinating photographs. I was really quite excited to receive these and am pleased to be able to share them with you. Sadly I don't know the name of the photographer(s) so I can't give credit (edit 9th March 2019: some photos have been identified, see references at the end). Right clicking on an image and choosing to view it separately will give you a bigger view). 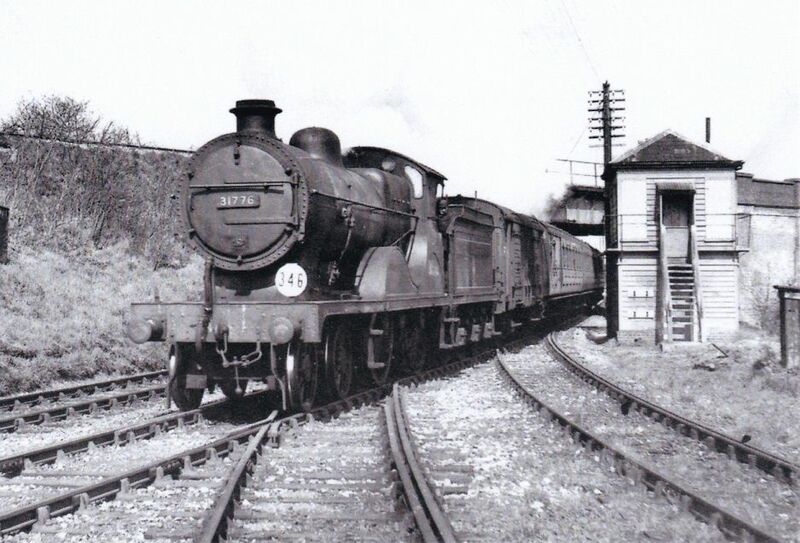 First we have an image of a steam train passing the signal box. 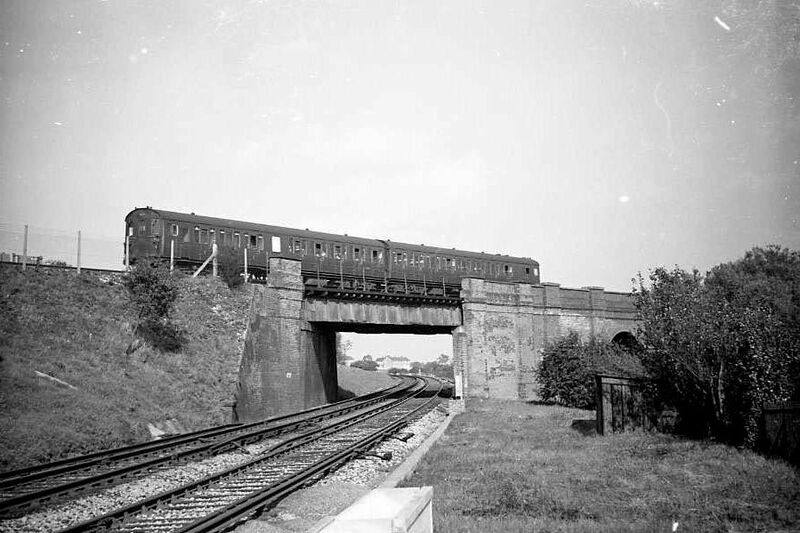 The Elham Valley line spur curves into the bottom right corner of the photograph. This train was heading towards London and had engine number 31776. 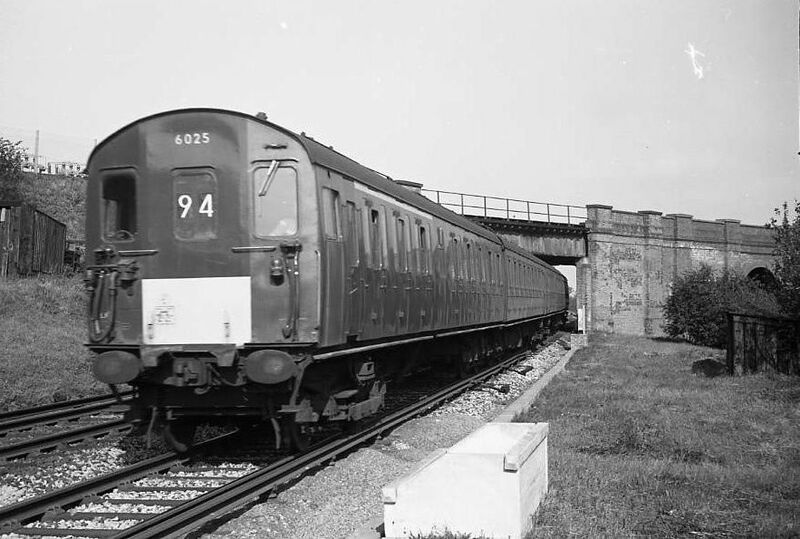 According to RailUK, 31776 was built in 1914 and withdrawn from service in 1961. Note the shutters are over the windows which were visible in the photo on part one. Next we see the signal box, again with shuttered windows (and less paint) from another angle. There was a gated crossing, seen in both these photos, and a brick pillar with a missing cap stone. 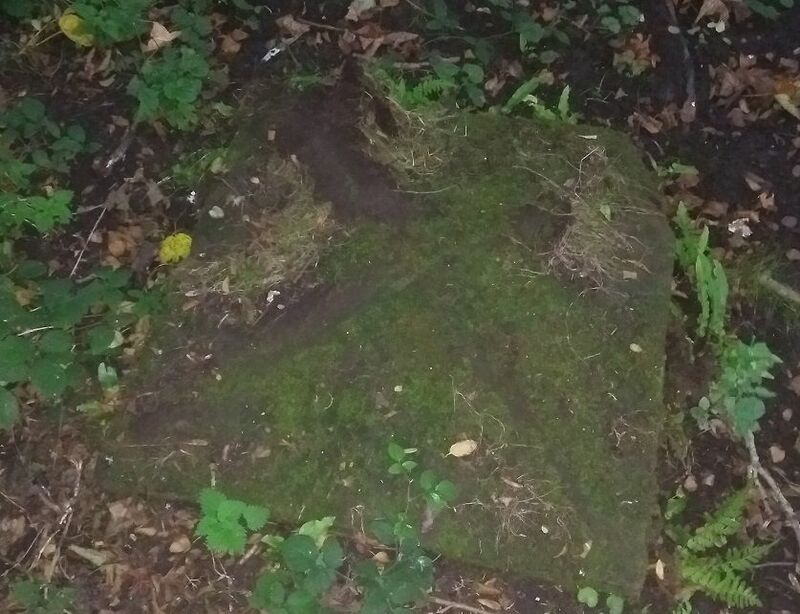 This may be the stone we found on our walk, although I can't confirm that of course. 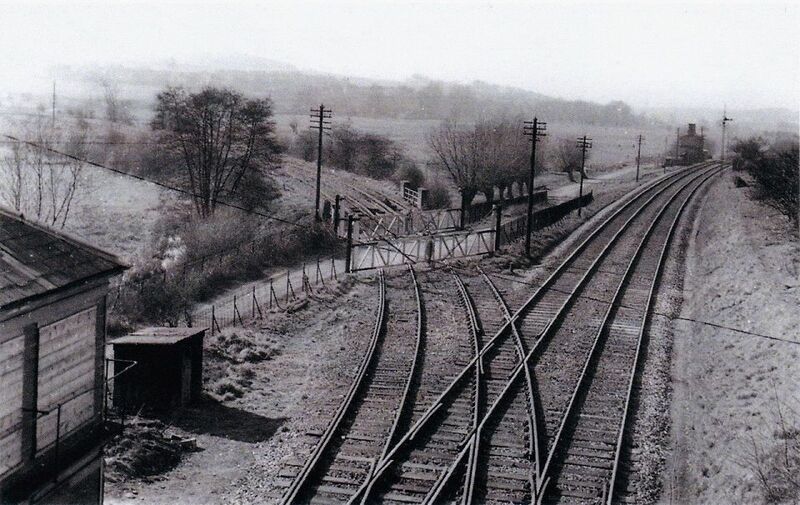 The second photo of this set shows the Elham Valley spur (on the left) along with the line to London (tending to the right). There's also a building there that I may have to look into further. 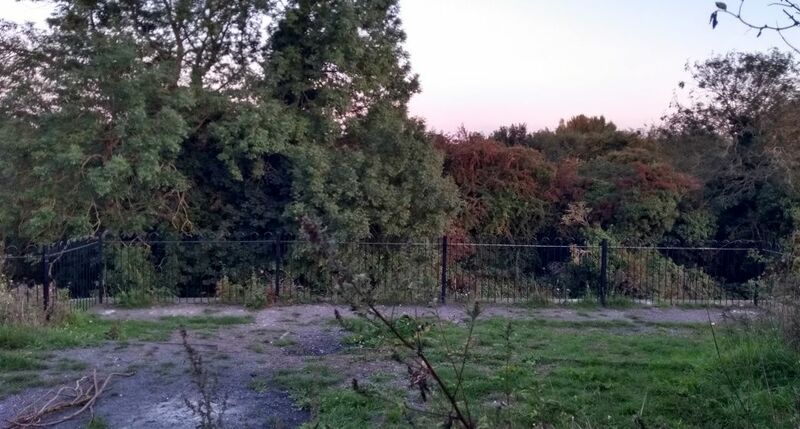 Here's a photo from after the Elham Valley spur and signal box had been removed, looking towards Canterbury. We can still see the little shack from earlier photos on the right hand side of the image. A likely diesel train is making its way along the overhead Canterbury East line. This photo is estimated as coming from the 1960s. Another photo post removal, likely a similar era to the above. This time the train is on the Canterbury West line. To end, probably the best photograph of the signal box, The detail in this image allows us to see the overhead wires (I'm guessing telegraph lines for time signals). Thanks for joining me on my journey, I hope you've found it interesting. I was sent a few more photographs too. Latest, possibly final instalment, is here. 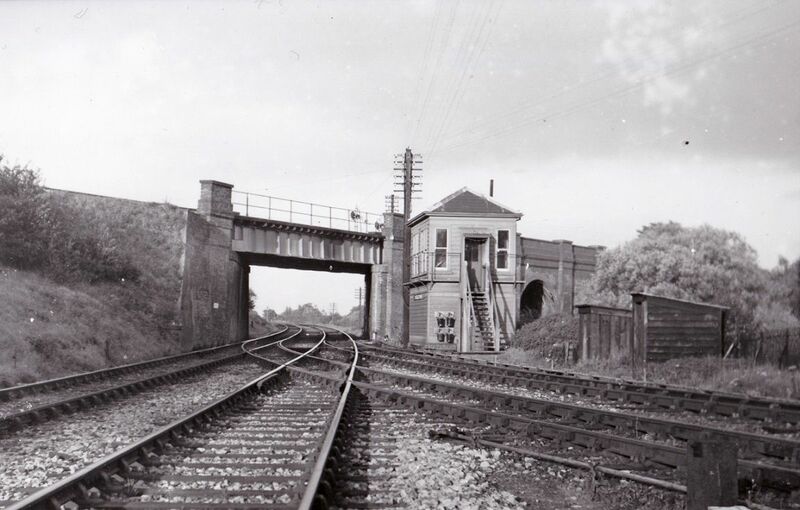 Banner image showing a steam train passing the Harbledown Junction signal box, photographer unknown . 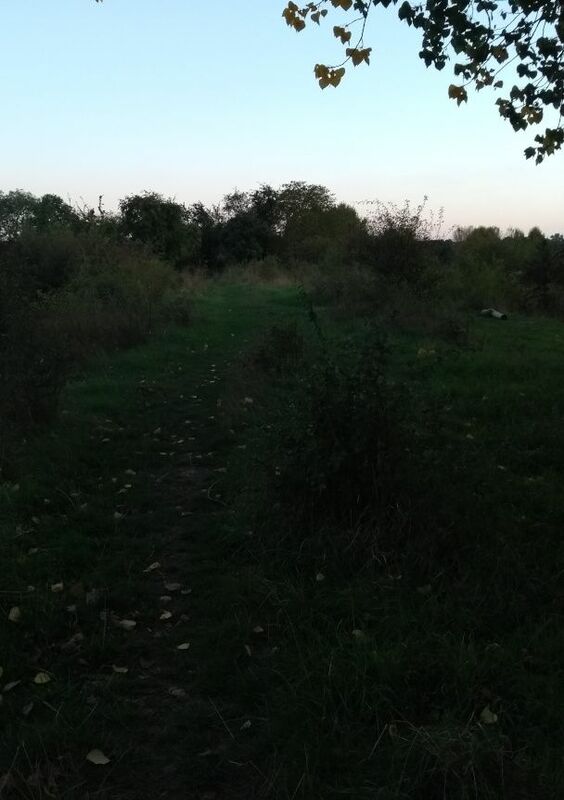 Photo provided by Steve of Love Hambrook Marshes, photographer unknown. J.J. Smith's photo, 9th May 1953 in Hart, B., 2015. 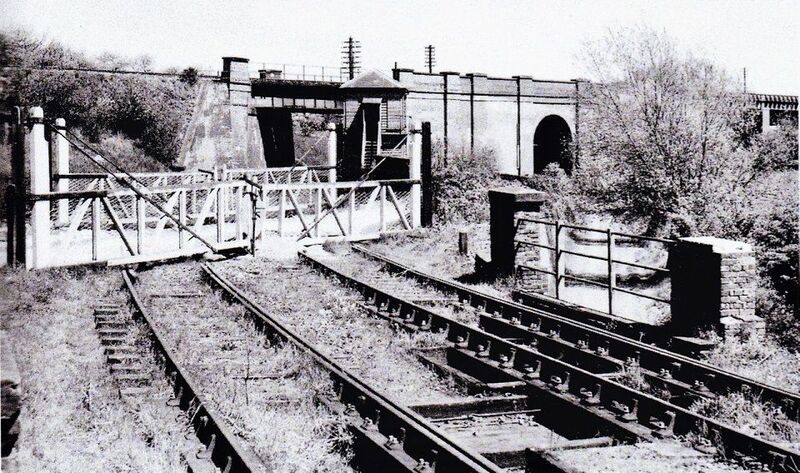 The Elham Valley Railway p278. 2nd. Bath: Wild Swan Books Ltd.
Dennis Callum's photo, 28th February 1953 in Hart, B., 2015. The Elham Valley Railway p278. 2nd. Bath: Wild Swan Books Ltd.
Photo from Paul Crampton's collection, a similar photo in Hart, B., 2015. The Elham Valley Railway p275. 2nd. Bath: Wild Swan Books Ltd.